2016 65 VOLKSWAGEN GOLF 1.4 SE TSI BLUEMOTION TECHNOLOGY DSG 5 DOOR AUTO 124 BHP ESTATE IN METALLIC BLUE WITH 26000 MILES AND ONLY 1 OWNER. APPROVED CARS ARE PLEASED TO OFFER THIS VOLKSWAGEN GOLF 1.4 SE TSI BLUEMOTION TECHNOLOGY DSG 5 DOOR AUTO 124 BHP ESTATE IN METALLIC BLUE WITH A BLACK CLOTH INTERIOR AND A GOOD SPEC INCLUDING A PANORAMIC ROOF,ALLOYS,BLUETOOTH,REAR PARKING SENSORS AND MUCH MORE WITH ONLY 1 OWNER AND A FULL VOLKSWAGEN SERVICE HISTORY PRINTOUT A GREAT CAR WITH A GREAT HISTORY. 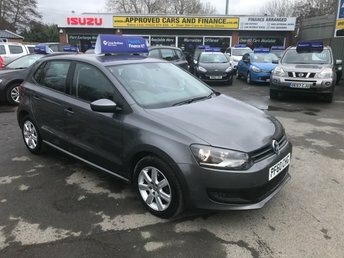 APPROVED CARS ARE PLEASED TO OFFER THIS VOLKSWAGEN GOLF GTD 2.0 5d WITH 181 BHP IN METALLIC SILVER WITH A FULL DOCUMENTED SERVICE HISTORY WITH SERVICED AT 20K, 40K, 59K AND 77K, WITH A STAMPED BOOK. 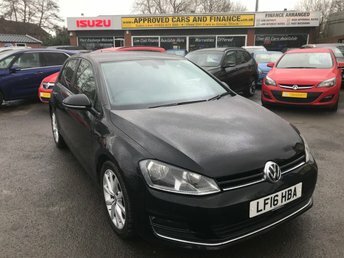 APPROVED CARS ARE PLEASED TO OFFER THIS VOLKSWAGEN GOLF 2.0 GT TDI 5 DOOR 148 BHP IN METALLIC BLACK WITH A FULL SERVICE HISTORY AT 10K, 21K, 40K, AND 59K WITH ONLY 73,000 MILES WITH AND HUGE SPEC SAT NAV, BLUETOOTH, TOUCH SCREEN RADIO AND 17 INCH ALLOY WHEELS AND MUCH MORE, VERY CLEAN VEHICLE WITH A GREAT SPEC NOT A VEHICLE TO BE MISSED. APPROVED CARS AND FINANCE ARE PLEASED TO OFFER OUR VOLKSWAGEN TIGUAN 2.0 SE TDI BLUEMOTION TECHNOLOGY 4MOTION 5 DOORS 138 BHP IN METALLIC BLACK. HUGE SPEC INCLUDING,ABS,POWER STEERING,DAB RADIO,ALLOY WHEELS,SATELLITE NAVIGATION AND A FULL SERVICE HISTORY AT 9K,18K,42K,52K,66K MILES. PLEASE CALL 01622-871-555 TO BOOK A TEST DRIVE TODAY. APPROVED CARS AND FINANCE ARE PLEASED TO OFFER OUR VOLKSWAGEN SCIROCCO 2.0 GT TDI 2 DOORS 170 BHP IN BLACK AND IN IMMACULATE CONDITION. HUGE SPEC INCLUDING,ABS,POWER STEERING,CRUISE CONTROL,DSG GEARBOX,ALLOY WHEELS AND A FULL SERVICE HISTORY AT 9K,18K,38K,48K,52K,57K MILES. PLEASE CALL 01622-871-555 TODAY TO BOOK A TEST DRIVE AS THIS CAR WILL NOT BE HERE LONG. 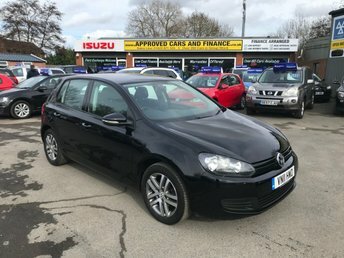 APPROVED CARS ARE PLEASED TO OFFER THIS VOLKSWAGEN GOLF 1.6 SE TDI BLUEMOTION TECHNOLOGY DSG 5 DOOR AUTOMATIC IN BLACK WITH BLACK CLOTH INTERIOR AND A FULL SERVICE HISTORY SERVICED AT 7K,20K,36K,57K,68K (WITH CAM BELT REPLACED) A TRULY FULL HISTORY GOLF AUTOMATIC AT A VERY SENSIBLE PRICE. 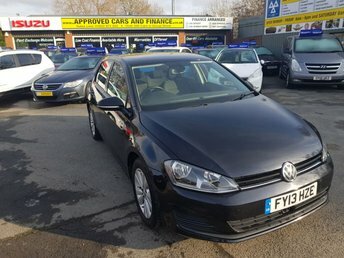 2012 T VOLKSWAGEN GOLF 1.6 MATCH TDI BLUEMOTION TECHNOLOGY DSG 5 DOOR AUTOMATIC 103 BHP WITH ONLY 67000 MILES IN IMMACULATE CONDITION. 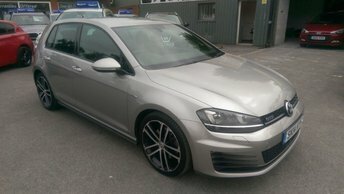 APPROVED CARS ARE PLEASED TO OFFER THIS VOLKSWAGEN GOLF 1.6 MATCH TDI BLUEMOTION TECHNOLOGY DSG 5 DOOR AUTOMATIC IN METALLIC GREY WITH A GOOD SPEC INCLUDING BLUETOOTH,ALLOYS,CRUISE CONTROL AND A FULL AUTOMATIC GEARBOX WITH A FULL SERVICE HISTORY WITH 7 SERVICE STAMPS IN THE SERVICE BOOK,A GREAT GOLF AT SUCH A SENSIBLE PRICE. 2012 61 VOLKSWAGEN PASSAT 2.0 CC TDI BLUEMOTION TECHNOLOGY DSG 4d AUTO 139 BHP IN BLACK WITH 81000 MILES IN IMMACULATE CONDITION. 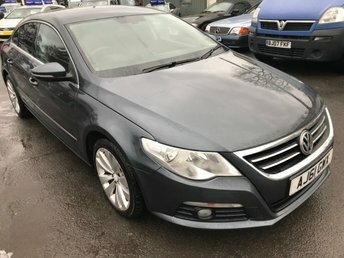 APPROVED CARS ARE PLEASED TO OFFER THIS VOLKSWAGEN PASSAT 2.0 CC TDI BLUEMOTION TECHNOLOGY DSG 4 DOOR AUTOMATIC 139 BHP IN METALLIC DARK GREY WITH A GOOD SPEC INCLUDING SAT NAV,XENON HEADLIGHTS,4 X ELCTRIC WINDOWS,17INCH ALLOYS,BLUETOOTH AND MUCH MORE WITH A FULL SERVICE HISTORY SERVICED AT 19K,37K,56K AND 74K A VERY NICE FAMILY AUTOMATIC SPORT SALOON. For a friendly welcome and sound advice, make sure you start the search for your next car right here at Approved Cars Ltd (Approved Cars Izusu). We've years of experience helping drivers in the area to find their dream vehicles and we'll do everything we can to help you find a used Volkswagen in East Peckham that meets your needs. Whether you're in the market for a motoring icon like the sporty Volkswagen Golf, a small yet perfectly formed city car such as the up! or a spacious family model like a used Passat Estate, the team at Approved Cars Ltd (Approved Cars Izusu) is here to help. View our latest line-up here on the website and don't forget to contact a member of the showroom team to arrange a test drive.